Advocating strategies for agricultural transformation: FAO and AfDB – One Billion Hungry: Can We Feed the World? Danilo Medina, president of the Dominican Republic, also spoke at COAG 2014 of food as a universal right and of the dire need to transform the rural economy. The Dominican Republic has been particularly successful in reducing hunger from over 34% in 1990 to under 15% today. 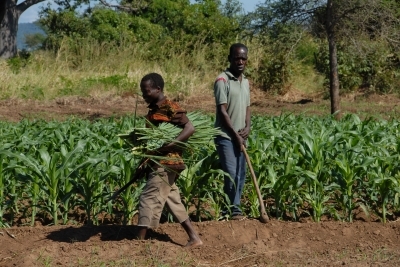 Since the current government came into power rural poverty has also been reduced 9%, linked to the doubling of the volume of agricultural loans and re-design of loan instruments to benefit smallholders, and the use of surprise visits to farming communities by officials in order to increase understanding and engage with smallholders, in particular around forming cooperatives. As noted by Graziano da Silva, this type of political commitment at the highest levels of government is critical to achieving national food security. At a regional level the African Development Bank (AfDB) commemorated the Africa Year of Agriculture and Food Security on the 29th September 2014 in Abidjan, Côte D’Ivoire. An interview with Chiji Ojukwu, Director of the AfDB’s Agriculture and Agro Industry Department, discussed the AfDB’s new Agriculture Policy and Strategy [2015-2019] and the bank’s priorities for agricultural development on the continent. Here there was very little mention of agroecology. The bank, in its strategy is prioritising agricultural research and development of maize, rice, cassava and wheat; supporting the development of agricultural value chains in these crops including value addition along the supply chain; financing agricultural and rural infrastructure such as roads and irrigation; improving regional and global agricultural trade; and supporting radical land reforms. The bank’s new strategy focuses on three key areas: (i) expanding agricultural infrastructure; (ii) promoting agribusiness and innovation; and, (iii) building resilience and promoting the sustainable management of natural resources. Additionally the development of agriculture as a business, the prioritisation of smallholder farmers; and reducing youth employment and gender inequality remain top priorities. Where agroecology would fit in such an approach is unclear. With many international organisations advocating for different pathways towards agricultural transformation and sustainable development it is can be confusing to know where the right path lies, many such as climate-smart agriculture being criticised for being poorly defined. Whether advocated from bottom-up or top-down, and there will likely be many “right” approaches proposed, evidence will play a large role in determining the path taken. We hope all approaches are considered based on local context as well as social, ecological and economic terms, this in itself will be a paradigm shift in thinking about the future of agriculture.